For all your other Passover info, needs and questions - try the tremendous www.Passover.net. We're sure you'll be pleased! Don't PASS OVER this PASSOVER! Where will YOU be on Passover night? There is a seat for you at Chabad's Passover Seder. Right here in University Circle. We offer a meaningful and enjoyable, fun and entertaining Seder experience, with lotsa Matza, excellent wines and grape juice and delicious food! Our Seder is English friendly and not prayer intensive, so everyone can feel welcome. No prior background or knowledge necessary. Must RSVP by Tuesday, April 8, 2014 - if you want food. Otherwise, feel free to come and eat all the leftover horseradish :). In all seriousness, no one will be turned away from Chabad's Seders. Who: YOU. And your friends. When: Mon. & Tues. April 14 & 15 - 8:30 PM. Let us know if you plan to come for the first Seder, the second Seder or both. Looking forward to celebrating together! 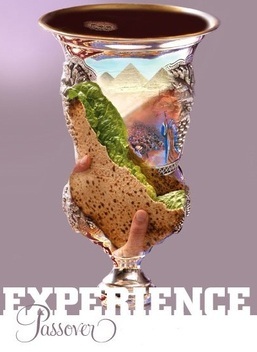 The Seder Experience and of course the delicious Passover meal are FREE for both students & grads at CWRU ($36 for guests and community members). Nonetheles﻿s - all students must supply a credit card number to reserve their spot. You will not be charged the $36... unless you don't show up. How's that for a deal?